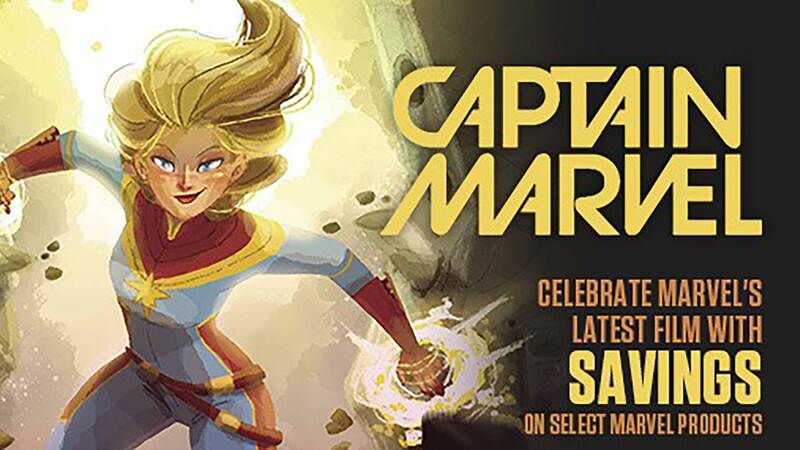 Starting at 10:00am on SATURDAY, MAY 5th 2010, Comic Book Ink will host its 9th Annual Celebration for folks who love comics and everything about them! While supplies last, the shop will be giving away FREE SPECIALLY MARKED COMICS throughout the day. "This year promises to be our biggest yet with over THIRTY-SEVEN (37) DIFFERENT TITLES to choose from..." said store owner, JOHN MUNN, "There is literally something for everyone young and old...whether its your first comic ever to you four thousanth!" "We are having a GUEST OF HONOR at this year's event! Marvel Superstar Artist CLAYTON CRAIN," Munn reported happilu, "This is the first time we have had a Guest of Honor since our very first Free Comic Book Day in 2003 with ADAM KUBERT. Clayton will be producing a SPECIAL EDITION of his phenomenal SKETCHBOOK! We don't know how many he is bringing, but folks will want to be there early to guarantee they get one!" With companies ranging from the Big Two (DC COMICS and MARVEL), the largest of the Independent Companies (DARK HORSE, IDW and IMAGE) to the smallest (ASPEN, ARCHIA, ONI and TOP SHELF to name a few)...all of the industry is coming out to play! A myriad of stories featuring a CAVALCADE of CHARACTERS will be available. Some of the names include: THE AVENGERS. THE JUSTICE LEAGUE, AMAZING SPIDER-MAN, STAR WARS and BUFFY THE VAMPIRE SLAYER! PLUS such great titles as PEANUTS, THE SMURFS, THE SIMPSONS, SONIC THE HEDGEHOG, TRANSFORMERS, Disney's DONALD DUCK, THE SIMPSONS, VOLTRON, and, yes, even YO GABBA GABBA. Don't forget, we will also giving away a FREE MARVEL HEROCLIX of THOR, from this Summer's Blockbuster, THE AVENGERS Opening THIS FRIDAY at the Lakewood Regal, while supplies last! And, don't worry, we'll show you how to use him in a game with demonstrations of HEROCLIX (from WIZKIDS GAMES) ! "We are also lucky to have a huge number of phenomenal new, and returning, guests, joining World Famous Comic Book Artist, CLAYTON CRAIN, to this year's Free Comic Book Day," Munn continued, " With members of the 501st LEGION of STAR WARS RECREATIONISTS,a chance to meet some of Tacoma's Own Phenomenal Roller Girls, THE DOCKYARD DERBY DAMES, the phenomenal SKETCH ARTIST JESSE MUNOZ, JAMES STOWE, MARK BRILL and MARK MONLUX from the CARTOONIST LEAGUE OF ABSURD WASHINGTONIANS, Characters from the Dead Gentlemen/Zombie Orpheous Films including, JOURNEYQUEST and THE GAMERS, Plus the folks from our neighbor, the LAKEWOOD REGAL CINEMAS, will be on hand again to give out FREE POSTERS, comic book fans dressed up as a myriad of characte for our ANNUAL COSTUME CONTEST and MORE! But we also have a few more 'special events' up our sleeve." "This is an event that couples the fun and accessibility of comics with the promotion of literacy for all ages," Munn finished, "While having the BIGGEST BACK ISSUE SALE IN THE COUNTY to cap it all off! There is literally NO BIGGER CELEBRATION of FREE COMIC BOOK DAY happening in the Tacoma / Lakewood / University Place Area! " COMIC BOOK INK (located at 2510 S. 84th Street, Suites 15A-B, Lakewood, WA 98499) was established in 2002 as a community oriented store and with the hopes of establishing the shop as a public meeting place, as well as cultural center, for those who love, or want to learn more, about comic books. The shop is a SSEVEN TIME NOMINEE for the WILL EISNER SPIRIT of RETAILING AWARD (2004-2010). 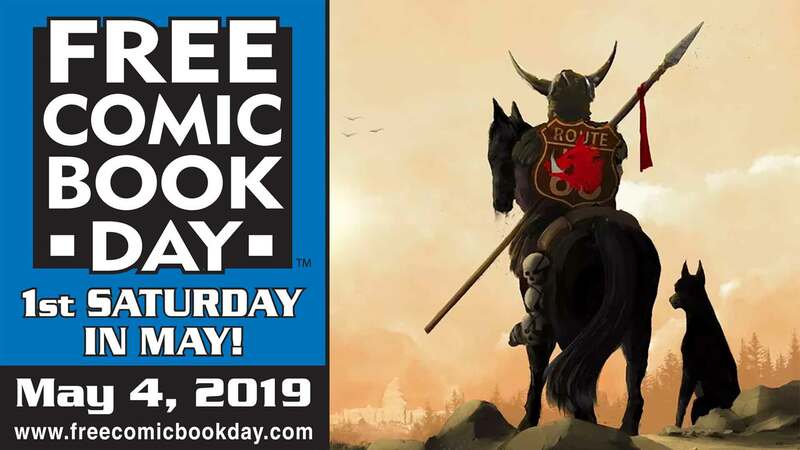 For more information about FREE COMIC BOOK DAY, on SATURDAY, MAY 5th from 10:00am until 10:00pm, please contact John Munn at (253) 761-4641 or at the shop located at 2510 S. 84th Street, Suites 15A-B, Lakewood, WA 98499.